Full Scottish Breakfast or any combination of award winning local butchers pork &leek and beef &tomato sausages, haggis from Denholm, unsmoked back bacon, black pudding, grilled tomato, mushrooms and your choice of free eggs. Chilled Fruit Juices and a healthy start with Yogurt, fresh fruit and oat granola. 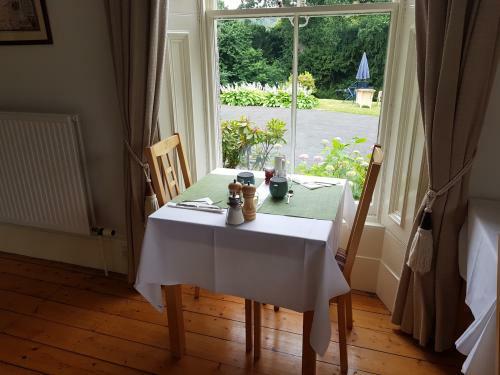 All breakfasts are served with a choice of tea or freshly brewed coffee and mixed toast accompanied by marmalade and a selection of jams. We also have a variety of herbal, green and fruit teas available as well as decaffeinated tea and coffee.